Review The time of the eBook reader may have come at last. 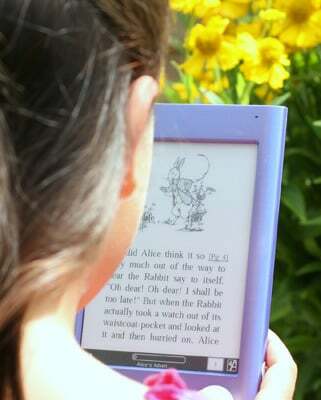 With Amazon’s Kindle leading the charge and Barnes and Noble working with UK OLED display maker Plastic Logic for a similar offering next year, there’s growing awareness of the possible market for electronic readers. Interead’s Cool-er is an independent reader, trying to carve itself a niche. 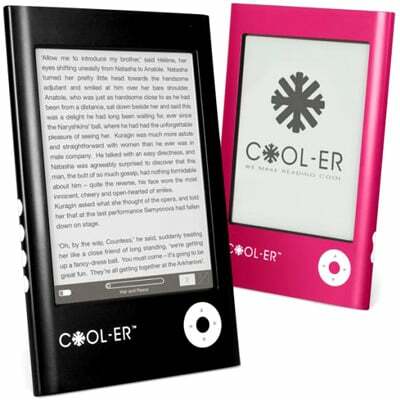 There’s undoubtedly more interest in eBook readers than there was even a few months ago and the Cool-er device from Interead aims to service a slice of this. Styled like a large iPod and in a range of candy colours, the cases are disappointingly plastic and there’s no slip-sleeve to protect case or 6in E-Ink display. E-Ink is probably the best know supplier of electrophoretic screens and is used by Sony and Amazon. The big advantages are that the screen has high contrast – though the background isn’t completely white – and that it takes no power to maintain an image; in this case, a book page. The only power is taken when the page is turned and the screen refreshed. The Cool-er has a set of buttons down its left-hand edge for sound, orientation, exit and menu and a toggle button on the right for sound volume. On the front panel, below the screen, is a ring of navigation buttons and a central one to make a selection. All the buttons are too stiff to be comfortable, but in their favour, are also hard to press in error. The reader uses a Linux variant as its OS and runs the Adobe Mobile Reader. It shows folders and files for eBooks you’ve loaded from the Coolerbooks site, where there are over 300,000 titles available, plus another million free, public domain, ones. Contemporary fiction eBooks tend to be more expensive than from Amazon, but at least when you buy one, it’s yours and there’s no mechanism, as there is in the Kindle, for anyone to delete it from your Cool-er. Fancy micropaying for the great Geek's Guide eBook?